From ancient Chinese legends comes a beautiful tale of love and sacrifice. Dive into a spirit world beyond the sea with Big Fish & Begonia, the beautifully animated Chinese epic coming to cinemas this spring! The film will screen in selected cinemas across the UK and Ireland on Wednesday 18th April. 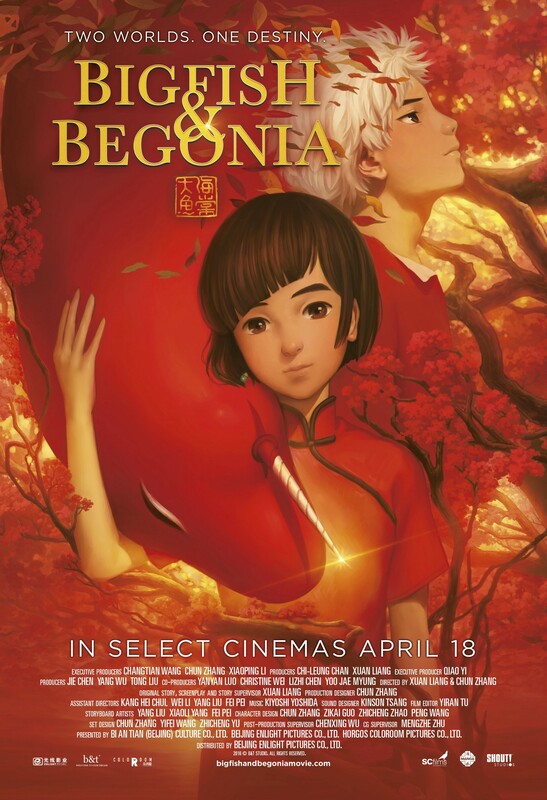 Twelve years in the making, artful anime feature Big Fish & Begonia is a visually stunning cinematic adventure that captures the unique aesthetics, mystique and rich cultural traditions of ancient China. The film entwines new storytelling, mythical legends and lyrical characters from notable Chinese classics "In Search of the Supernatural", "The Classic of Mountains and Seas", and Daoist classic Zhuangzi. "Our dream is to make an animated film that touches people's hearts and inspires people with love and faith" said writer/director Xuan Liang. Enjoy the trailer and the first scene from Big Fish & Begonia below.